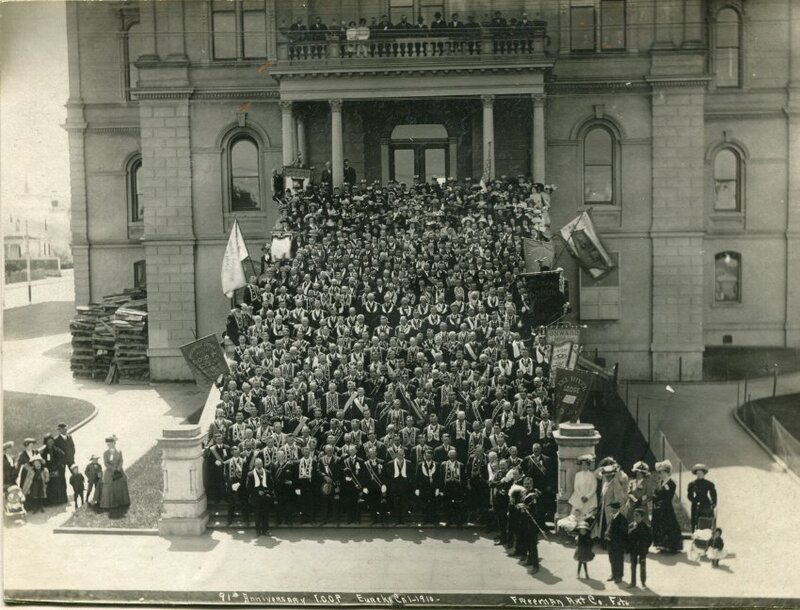 In the early 1900s, Humboldt County saw an explosion in its number of Fraternal Organizations. At this same point in time, the population of Humboldt County was rapidly increasing due to improving accessibility to the area and the booming logging, maritime, and farming industries. 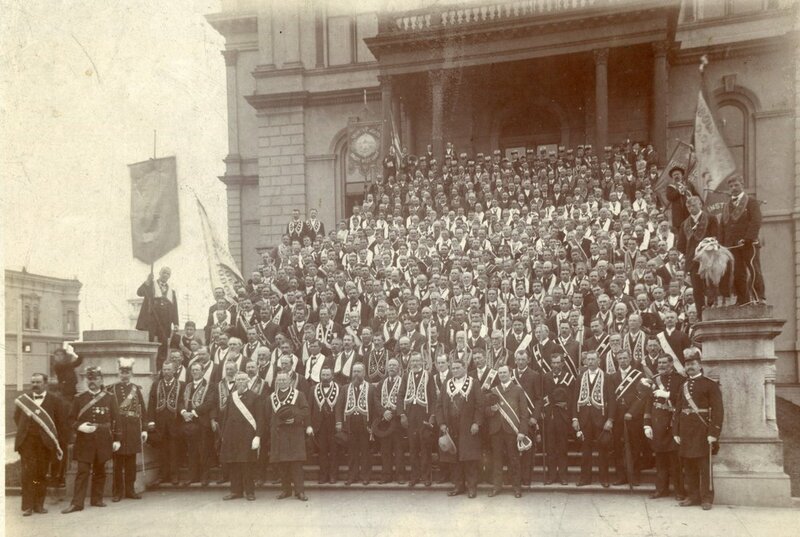 From 1857 to the present, Humboldt County has seen over 130 Fraternal Organizations. Early clubs included Masonic-associated groups, Independent Order of Oddfellows, and the Knights of Pythias. 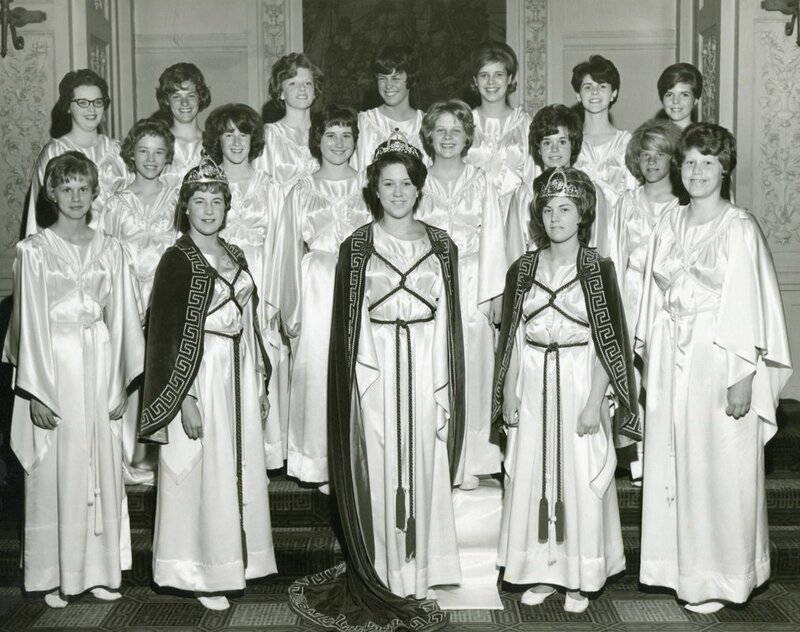 The types of clubs introduced changed over time and in response to demographic shifts in Humboldt County, leading to the rise of cultural-based Fraternal Organizations like the Sons of Norway, Order of Runeberg and the Croatian Fraternal Union. Many of these organizations in particular formed to provide a space for members to speak the language of their home country, celebrate traditional holidays, and receive insurance benefits through the payment of dues. Many Fraternal Organizations appeared in multiple towns in the county, providing an opportunity to connect neighboring towns that share organizational ties. The more popular and prolific groups were known to build meeting halls that were then rented out by other groups, providing space for other club’s meetings and events. Many of these buildings still stand today and have been recognized as historical sites. Besides serving as an economic support for members, Fraternal Organizations fill an important need for individuals: a sense of community. 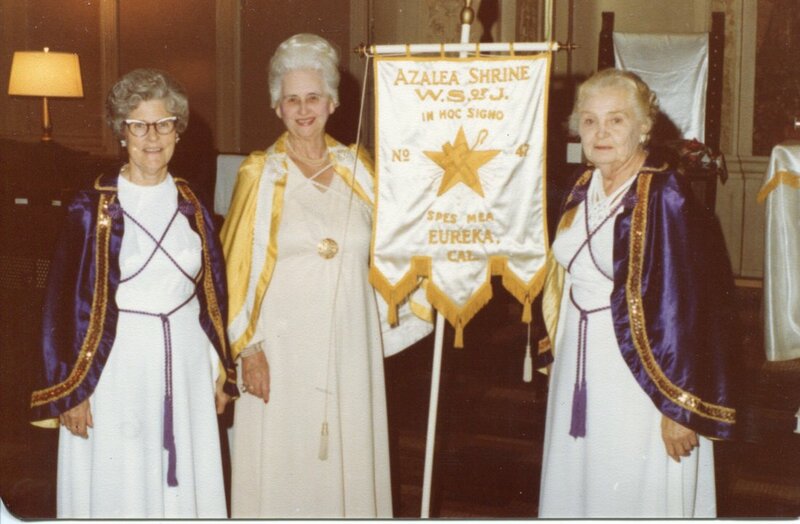 One of the ways that Fraternal organizations cultivate community is through ceremonies with elaborate, meaningful regalia filled with symbolism and meaning best understood by those within the organization. This insider knowledge creates closer ties between members, ties that can transcend towns and countries in some cases. Many organizations use historical-occasionally biblical- symbols which can link the organization to a history beyond the group’s founding. This provides the group with a history to connect with and a story that unites members of each individual group and multiple groups across time and physical space. The exhibit features a variety of expression of community within Fraternal Organizations through shared symbolism. This shared symbolism is expressed in the regalia, uniforms, ritual books and other items of interest created, maintained, and used by the organizations. The scope of the exhibit covers a wide range of items from the 1850s to the present and represents items from some of the historical and currently active Fraternal Organizations in Humboldt County. We are proud to announce that Ray Hillman will be providing tours of local Fraternal Order lodges. Attendees will have a chance to see inside a few of the spectacular, historic meeting halls of local fraternal organizations, some of whom have meet in these places for decades. A tour will be held on March 17, 2018 starting from the Humboldt Masonic Lodge on the corner of 5th and G (outside of Vern's Furniture) at 9:30 am and will last about 3 hours. Tickets need to be purchased ahead of time and are $18 for museum members and $20 for non-members. Tickets can be purchased at the Museum or on our digital gift shop here. Buy your tickets early as there are only 20 spots available on the tour! You can access a map of past and present meeting places-many with photos and contact information for active groups- here. Know of an organization or meeting place not represented? Help improve our map by filling out this form. These pages are under construction! Check back for new updates! Click on the name of each organization to see more information on the Organization, its history in Humboldt County, videos and more! What are Fraternal Organizations? How are they Organized? Why are there not as many Fraternal Organizations nowadays? Find answers to these questions and more on our Questions page!